Craving Freedom? Get free Tips to have a Body and Life you love! Do you struggle with an unhealthy relationship with food? √ You think about food constantly – even when you’re not hungry. √ You eat food secretly, fast and when nobody is watching. √ You believe that when you hit your goal weight you’ll be happy and your life can finally start. √ You feel that if you weighed less you’d somehow be more in other areas of your life. √ Do you feel like you are addicted to food? √ You’ve tried every diet under the sun and while you are able to lose weight, you struggle to keep it off..
√ You’re starting to think that there must be more to weight-loss than just healthy eating and exercising. √ You truly don’t like exercising or you do because it makes you feel good, but you are still not doing it. MindFoodNess is a sacred place where you shift from struggling with food and your body to a place of freedom, empowerment, connection, authenticity, love, care and fun. With our 1:1 coaching services, body love yoga classes, workshops, youtube channel and our online community we are dedicated to doing all we can to help you end the ongoing war with your body, food and ultimately yourself. When we address the underlying issues, we heal the root cause of pain. This line of work excites me as I too have experienced transformation in my life. This is when you get to feel alive…. When you have lasting energy. When cravings don’t control your life. When you can go out to eat, throw on a dress without a second thought and overcome the impulse to binge. Here you learn to love every single inch of your body. Where you enjoy food. Where you enjoy life. In this space you are free. It is my mission – no matter where you are in the world – to provide you with the tools to move from War to Love. Attain body and food freedom, self-love, courage and strength to follow your passion and purpose for a fulfilling and meaningful life on your terms. Absolute freedom from the confines of diets and restriction. Eugenia is the founder of MindFoodNess and Body Love Yoga. She is a body and mind transformation expert with a BSc in business psychology, mindfulness and nutrition Coach, motivational speaker and a yoga instructor. Eugenia is passionate about turning the diet industry around to spread the message of food and body freedom so women no longer diet to feel beautiful, loved and accepted. Eugenia’s passion comes from her own experience of many years struggling with eating disorders, dieting, emotional eating and body hatred. She is now on a mission to empower others to end their battle with their body, food and ultimately themselves by addressing the underlying cause of their pain. She dreams of changing thousands of people’s lives through speaking engagements, her private coaching clinic, retreats, Body Love Yoga classes, Eat – Love – Live online community and local events. 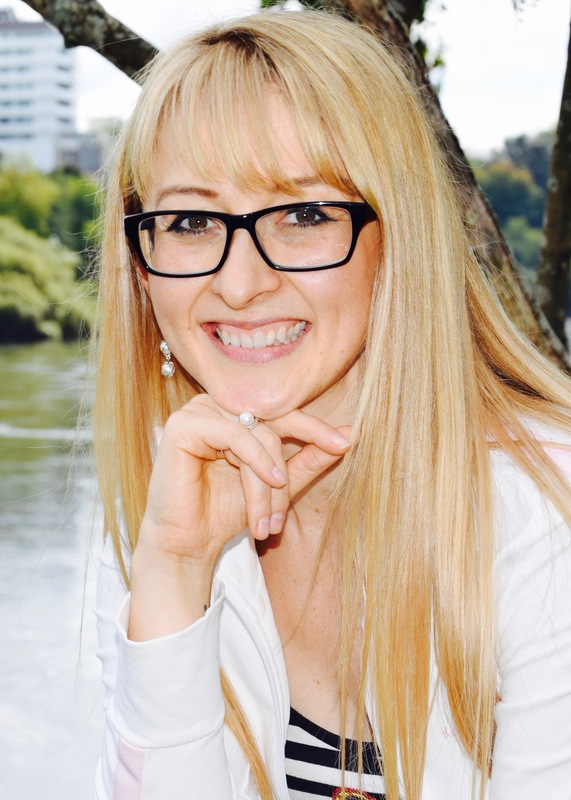 Continue reading for Eugenia’s professional bio and her experience with disordered eating, dieting and the freedom she is now experiencing since her recovery. Book a time with Eugenia to speak about eating psychology, binge eating, emotional eating, confidence, body image and healthy eating. For your next event >>> HERE. Are you ready to end the war with Food and your Body? Imagine a life where you don’t use food as a drug to comfort yourself or eat because you are bored in your life, but because it gives you energy to do all the things you always wanted to do: being active with your kids or grand kids, travel, tramping, swimming at the beach and everything else you usually avoid. A life free from constantly worrying about how much you ate, what your body looks like and what other people might think. Imagine a life of FREEDOM, CONFIDENCE, EMPOWERMENT AND FUN.